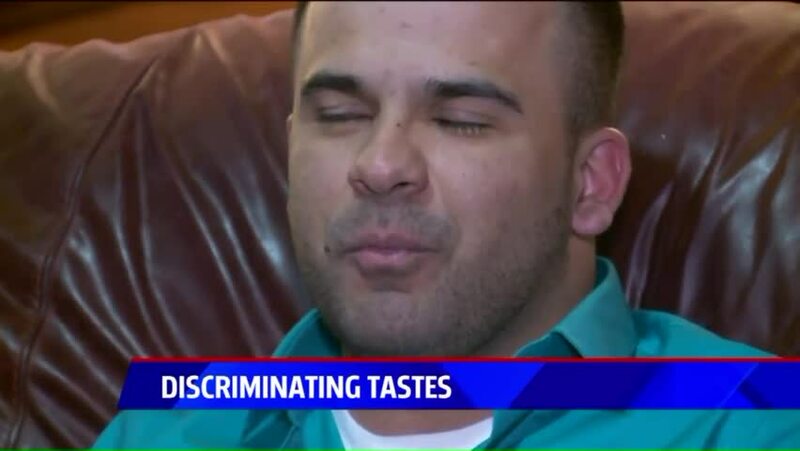 GRAND RAPIDS, Mich. (WXMI) -- A West Michigan bakery owner is upset after she says a customer canceled a cake order after finding out she and her husband are Muslim. Zeinab Mohamed says when the buyer found out her last name she canceled the order, saying a her husband was a war veteran and would never buy a cake from a Muslim. Mohamed's husband is not only Muslim, but a war veteran himself. Hey actually were [sic] going to order our cake somewhere else my husband just found out your [sic] Muslim. And I'm not against it but he is because he was in Iraq fighting for our country against your people. He even changed his new doctor because the new one he was referred to was Muslim and he just said somethings [sic] and said he doesnt [sic] feel comfortable having you make our cake. I'm so sorry. "I was trying to understand it, trying to comprehend what I was reading and I was just in complete shock" said Mohamed. "My only response to her was 'My people? What does that mean?'" The sender claimed her husband fought in Iraq and doesn't feel comfortable with Mohamed making their cake. "My people aren't from Iraq, I am from Somalia" said Mohamed. "I just couldn't comprehend what she was saying . I was baffled. I really didn't have a response for her." Mohamed's husband, also Muslim, fought for our country, serving three years in the United States Navy. "When I heard it I was let down, but also really just hurt by it because I had thought we've moved away from some of that" said Javon Borst, Zeinab's husband. "To have it hit so close to some was hurtful." Borst was a Navy medic, and says it didn't matter a person's race or religion when someone needed help during his time of service. "I remember when I was working at Andrews Air Force Base, we lost one guy on Christmas Day as he actually landed back in the states" said Borst. "I was holding his hand, you know? We both had our dog tags showing because it was hot and it was very busy. We're unloading him and he's holding my hand and to think that none of that mattered, no one's religious identity mattered. All that mattered was you were brothers and family. I was hurt because that's not the broader view. I was just really let down that that could actually happen." Both Zeinab and Javon were left hurt, trying to understand why they were targeted for their beliefs when they have much more in common with the customer than they thought. "It's almost as if their husband didn't realize that he fought amongst Muslims too" said Mohamed. "There are a lot of Muslim soldiers that are fighting right next to him and it's as if that didn't even matter." But Zeinab doesn't want to show the person's name, saying she knows the backlash they'd get. With hurtful words already thrown at her, she doesn't want the cycle to continue. "The problem isn't so much the person, it's the message they're portraying" said Mohamed. "I feel like unless we deal with the message, there will continue to be another person that will say the same thing. There will maybe be hundreds more that feel the same way that this person feels if we don't fix what the message is." Zeinab says it's disheartening to know that she's going to encounter people like this while doing what she loves, making cakes, but that's not going to stop her from running Sweetcakez. She hopes the person will open their heart and accept everyone to stop any cycle of hate.